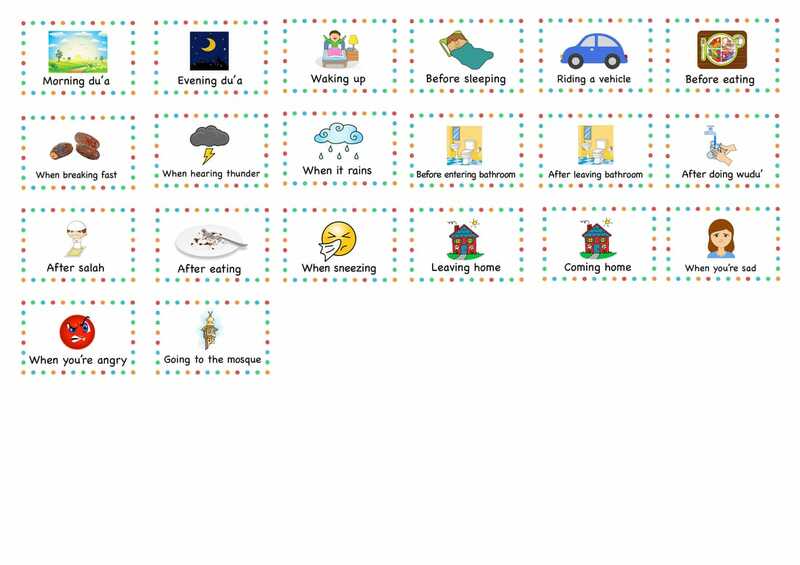 Inspired by this website: http://tjhomeschooling.blogspot.se/2015/03/duaa-memory-badges.html I first made a Swedish version of this "du'a chart", and also an English one. The idea is that it is used to keep track on which du'as the child knows by hearts. Click on the black buttons down below to download the chart and the du'a cards. Print both the chart and the du'a cards, and cut out the cards. 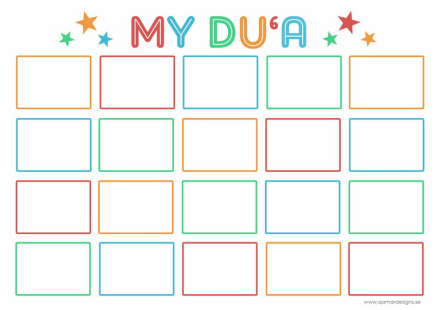 When the child learns a new du'a by heart, the child gets to put the corresponding card for the du'a on the du'a chart. And that's the way you continue - continue to put new cards on the chart as the child learns new du'as.